Design your own Christmas tree and Win a Christmas Hamper! Home - Win a Christmas Hamper by Designing your own Christmas Tree! Win a Christmas Hamper by Designing your own Christmas Tree! We created an infographic to show you how to make some incredible DIY Christmas Tree designs using a variety of materials (even vegetables!) and as you’ve loved it so much, in the true spirit of Christmas Anglian Home Improvements are giving away a Christmas hamper for all of you who are having a go at making your own trees. It’s really easy to enter this competition to win a Christmas Hamper. Simply post a picture on this Facebook post of your very own DIY Christmas tree, or a picture of your own Christmas tree. It could be one you have created yourself, or even an attempt at one from our infographic. To remind you, here’s the infographic. We cannot wait to see your DIY Christmas trees! 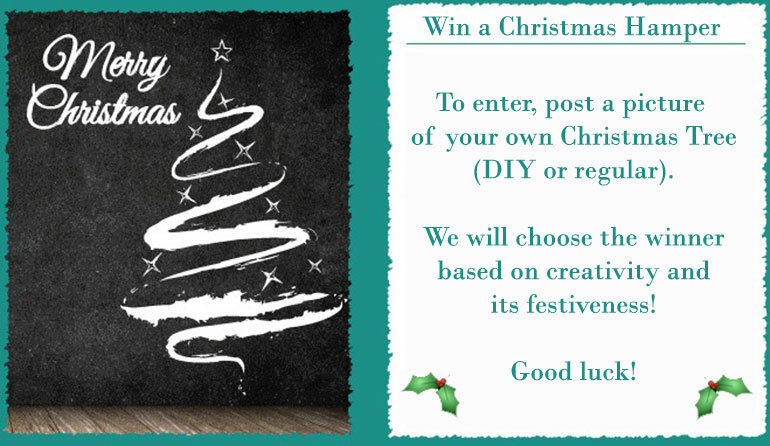 To enter, ‘Like’ Anglian Home Improvements on Facebook and post a picture of your Christmas tree here. 1. This competition is open to residents of the UK, excluding Channel Islands, Isle of Man and Republic of Ireland. Entrants must be aged 18 years. Competition excludes employees of Anglian Windows Limited and their families, agents or anyone else professionally associated with the prize draw. 2. Details of how to enter form part of the terms and conditions. It is a condition of entry that all rules are accepted as final and that the entrants agree to abide by these rules. The decision of the Promoter is final and no correspondence will be entered into. 3. The winner will be selected by 18th December 2014. 4. The Winner will be notified within 2 days of the closing date of the prize draw. 5. The winner will be notified via Facebook. 6. If the Promoter has had no reply from the winner within 48 hours of the notification, the Promoter reserves the right to re-draw and award the prize to another entrant. 7. The prize is a Christmas hamper. 11. By entering the competition the winner agrees to participate in competition publicity, which could include interview and photographs of the winners.